To change between the two types, before opening the Waiting Room, flip the toggle on the settings page. The difference between the two is shown between each question and at the end of the Gameshow. 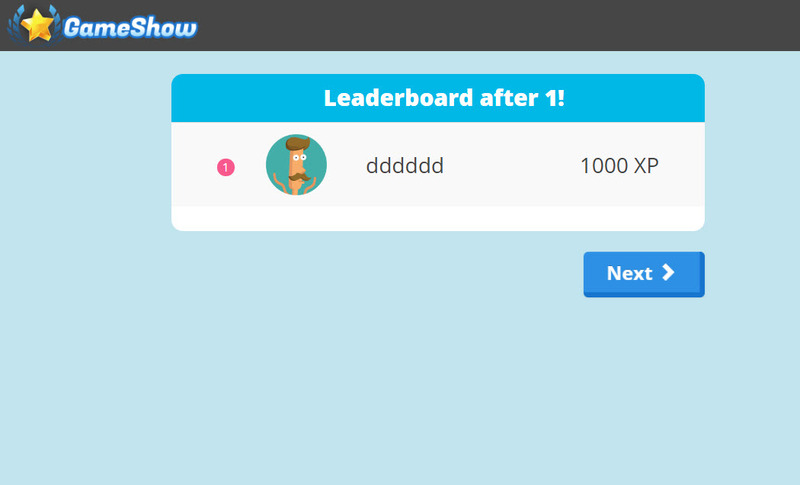 For Competitive Gameshows, every question will have a leaderboard showing the scores for the top group of students (around 1/3 of the class). 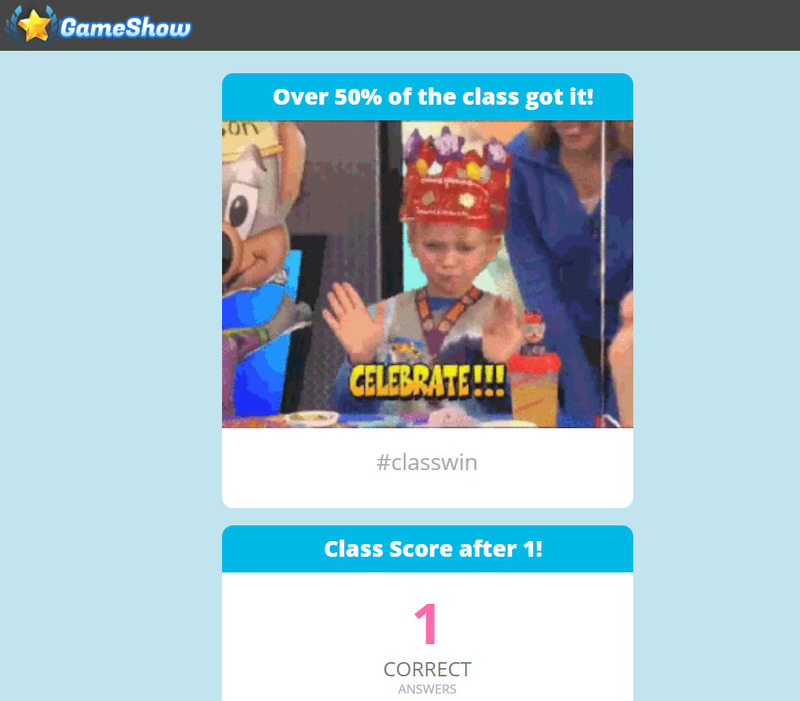 In Collaborative Gameshows, the class success is determined by if the percentage of the class that got the correct answer was more than the Celebration Threshold (See the first image). If they exceed that threshold, a fun GIF will appear rather than the Leaderboard.